Canadian comic artist Seth investigates the influence of printed ephemera in inspiring a quintessentially Canadian style of design. 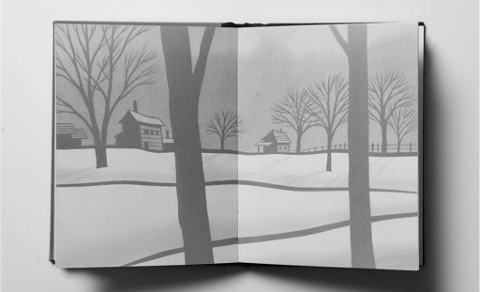 Spread from Zachariah Wells's Track and Trace. 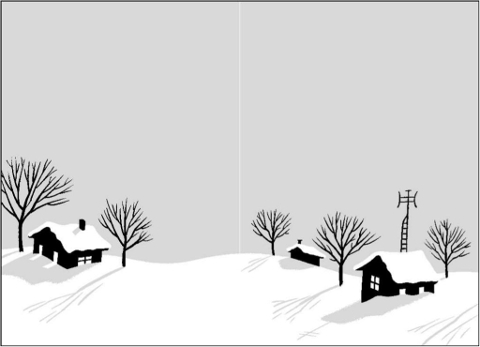 When it comes to graphic design, it is easy to communicate the Canadianness of a work with a liberal application of beavers and maple leaves, but, as acclaimed graphic novelist Seth suggests in Seth's Personal Canadian Vernacular, it is much more interesting if you don’t. In this unique study of Canadian design style, Seth studies vernacular printing—from magazines and pamphlets to matchbook covers and postcards—to determine how thoughtful design can communicate a sense of place. He presents a careful selection of printed ephemera that have inspired his designs, as well as samples of his own work, which put that inspiration into practice. Seth's Personal Canadian Vernacular is a fascinating take on our design roots, and an excellent reminder of the importance of transmitting `something genuinely Canadian' in book design. Spread from Bannock, Beans and Black Tea. For some time now I've felt a desire to transmit something genuinely Canadian through my work. I didn’t always feel this way, though. When I first began my career as a cartoonist back in the 1980s I barely gave it a thought—if that. In those days I was primarily interested in trying to capture the surface stylings of early-twentieth-century cartooning, architecture and graphic design—mostly 1920s and 1930s stuff. Like most young artists working in a commercial medium I was more concerned with style than with content. To be fair, I was trying to actually learn from these sources ... but for the most part, I was just interested in attempting to cop the look of these things. That said, those early attempts to create a graphic style for myself left a lasting impression on me. I'm still almost entirely drawn to the first half of the twentieth century when it comes to a love of design. I see the 1920s, largely, as a high point of the commercial culture, a period of much elegance and sophistication and a love of clean lines and orderliness in their decoration. All words that are a fetish to me. If you are using an Amazon Kindle, or a device that runs the Kindle App, you will need: sf4_kindle.mobi. If you are using an Apple or Android device (tablet, smartphone) an e-reader (such as a Kobo or Sony Reader) or a personal computer, you will need: sf4_epub.epub.